Office Hours: Tuesday, 1-2 p.m.
Chris Koch is a graduate of the Pennsylvania State University and completed an MS and a PhD in cognitive-experimental psychology at the University of Georgia. 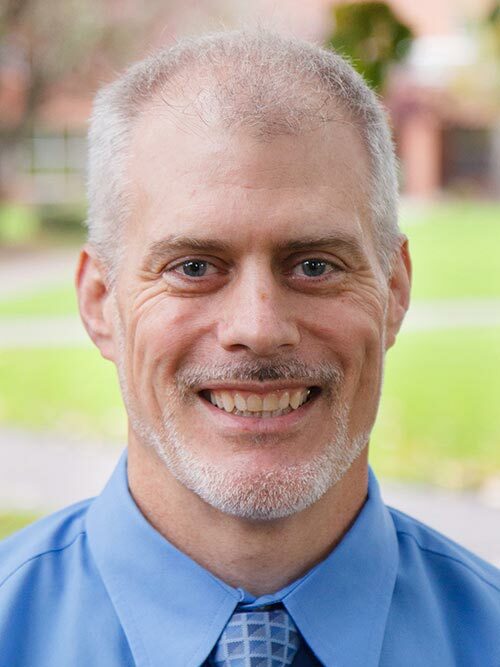 He joined the Graduate School of Clinical Psychology at George Fox University in 1993 and is director of the undergraduate psychology department. He is a former national president of Psi Chi, the undergraduate psychology honors society. Primary research interests concern attention, particularly using the Stroop effect. Current projects involving the Stroop effect include chronometric studies, analysis of error rates, examining individual difference (e.g. personality and intelligence), and further exploring why the Stroop exists. A second line of research involves visual perception. Several studies are being conducted to examine how objects are recognized. Some of these studies include intelligence testing. Other research projects include developing a vision screening instrument and a measure and model of perceived ability in sports.